I’ve been using Business Contact Manager with Outlook for a number of years. After upgrading to Outlook 2016 in September, 2016, I was told, via a pop-up box, that BCM is no longer compatible with Microsoft Suites. I was not aware of the changes until after the upgrade. Now I’m stuck without the ability to downgrade to Outlook 2013 and no data. Can you please help me? In August, we wrote about the changes Microsoft has made to Business Contact Manager. We caution all readers who use to Business Contact Manager and are wishing to upgrade to Outlook 2016 to contact us first before making the switch. We will be able to custom import your data into our interface and will do the necessary steps for backup to make sure the integration is as swift as possible for you. From there, the backup and restore process is swift; select the backup location and provide the password for the backup of the database. You may need an external hard drive to host your data. If your backup is on the same disk as your original database and your hard disk fails, then your backup will be lost. As well, we caution you not to make any upgrades to any software without backing up your data first in a safe location. If the upgrade fails and you are not able to access a certain program, you can easily restore it to a point when the program was working; hence where your backup comes into good use. So if you are in a similar situation as one of our inquirers, do not panic. All you need is a copy of your backup and we’ll help you with the rest. Complete office solution with project management, social media, phone system integration and more. No credit cards and long term commitments are required. Click here to download free trial. Technology and software upgrades are major parts of life in the business world. Reasons for the upgrade may include tighter security, more features and perhaps a more user-friendly interface, too. But if you are a Microsoft Business Contact Manager (BCM) user and would like to upgrade to Office 2016, you will have to shop for a new BCM replacement — the new Microsoft Office package is not compatible with BCM. InfoFlo lets you enjoy all the benefits of a completely seamless Outlook integration. It is an on-premise CRM tool that intuitively syncs with Outlook contacts, companies, categories, emails, and calendar. As well, it has a broad range of industry-specific templates that make it easy for the software to adapt to the unique needs of your business, along with a CRM implementation team who will guarantee success for all staff and managers. Download free trial here. Will you have to start from scratch when switching to InfoFlo CRM as a BCM replacement? You will not lose your data whilst switching over from Microsoft BCM. All you have to do is export your Business Contact Manager data and import it directly into our interface. InfoFlo conveniently offers an Outlook Sync. add-0n that automatically uses all of your Outlook contacts, emails, and appointments. 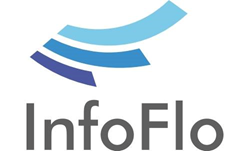 Carmel Vision is very pleased to announce that our flagship product, InfoFlo, was recognized for being the highest rated in satisfaction for CRM products last month by G2Crowd. Users of CRM products were asked to rate qualifying vendors on their ability to track and manage customer interactions across customer lifecycle from lead to order to support in one master system of record. To qualify for nominations, products must have been reviewed by 10+ users in 2015 by companies with 51 to 1,000 employees. G2Crowd is a leading source for unfiltered business software reviews, giving software users an accurate picture of the likelihood of success and allowing them to find relevant references and expertise on their own without relying on those supplied by the vendors. Their 50,000+ user reviews are read by approximately 400,000 software buyers each month to help them make better purchasing decisions. By bringing the collective power of trusted peers to the forefront, business buyers now have lucidity when evaluating B2B software technologies. Having been in business for over 12 years, Carmel Vision has been proudly delivering powerful management infrastructure that have been designed to help many different businesses collect, search and archive all content, contact and communication activities that take place in their workplaces. The most important lessons we have learned is that no matter what business you service, reputation is the key. We take our reviews seriously and with pride we share them with you. We invite all InfoFlo users to review us on G2Crowd and share their success stories. We want to thank you tremendously for taking the time to review us. We genuinely strive to make sure your experience is an exceptional one. The Carmel Vision team is proud to announce that G2 Crowd nominated our InfoFlo Software as one of 13 high performers in the CRM Software industry. G2 Crowd is a trusted source of enterprise software reviews from real users. They launched the Beta version of their site in February 2013. Since then, they have garnered over 20,000 reviews of products across more than 200 categories, and more than half a million answers to the questions software buyers desire the most answers to. Any user of business software is welcome to share their experiences with the products they use in a review on G2 Crowd. Their reviews are different from Yelp’s in that the G2 Crowd verifies reviewers to make certain they are real business professionals, and no one can review their own product or that of a competitor; essentially eliminating bias. Our goal as a company is to now qualify as a leader by G2 Crowd. In order to become one, we must receive a high customer satisfaction score and have a substantial market presence. This is a goal that we feel is attainable and achievable by our staff who continue to strive for excellence in customer service and product offerings. We welcome you to help us reach for the top by submitting your customer review on G2 Crowd. Your customer reviews mean the world to us. It’s the kind of selfless goodwill that feels like a pat on the back and makes all our hard work and efforts worthwhile. A big thank you goes out to G2 Crowd for the nomination and to all the individuals that took the time to write to us to express their gratitude for the services that we provide. You can submit your review here. If you are new to InfoFlo & Carmel Vision, we welcome you to our blog and resource hub. You’re just 30 Seconds away from your free 30 Day Trial of InfoFlo! Download your free trial here. Carmel Vision is proud to announce the launch of a new website for its InfoFlo CRM Software. InfoFlo enables small and medium sized businesses to intelligently manage the overwhelming amount of information they are exposed to on a daily basis. The main objective for the new website is to help facilitate deeper connections with web visitors, many of whose first contact with the company is online. “The aim is to compel and empower the web visitor to take meaningful actions, whether it is to download a free trial, contact a sales rep for more information, or watch informational videos to learn more about how their business can benefit from InfoFlo,” added Berliner. In addition to a newly redesigned website, there will be a corporate blog, designed to serve as a valuable resource for existing clients as well as business entrepreneurs looking for a change. The new corporate blog will cover a variety of industry-specific topics and offer real solutions to help readers identify and overcome everyday problems and issues as well as develop ways to become more productive, efficient, and profitable. “Our experts have amassed a wealth of information and an in-depth understanding about CRM Software. We recognize the unique challenges that you face in your day-to-day work environment and thought it might be helpful to share some of our industry best practices as well as some of the many tips and tricks we’ve learned along the way,” concluded Berliner. Carmel Vision, a Toronto based CRM software development company, is focused on delivering a powerful management infrastructure that is designed to collect, search, and archive all content, contact and communication activities that take place in a typical office. They understand and listen to all of their customers’ needs and strive to give excellent quality at affordable prices. Their flagship product, InfoFlo – is a central management system specifically designed to combat one of the biggest technical challenges facing any professional organization, how to efficiently organize, archive, filter and search the vital information that bombards our desktops on a daily basis. The infrastructure allows all office activities to coexist together under one umbrella, making all critical information readily available at the fingertips.